Rate this project The NetBSD project develops a lightweight operating system which runs on a wide range of hardware architectures. The project's latest release in the 7.x series is NetBSD 7.2, which offers USB 3.0 support, enhancements to Linux emulation, support for running on the Raspberry Pi 3 computer and updated drivers. "The NetBSD Project is pleased to announce NetBSD 7.2, the second feature update of the NetBSD 7 release branch. It represents a selected subset of fixes deemed important for security or stability reasons, as well as new features and enhancements. Some highlights of the 7.2 release are: support for USB 3.0; enhancements to the Linux emulation subsystem; fixes in binary compatibility for ancient NetBSD executables; iwm(4) driver for Intel Wireless 726x, 316x, 826x and 416x series added; support for Raspberry Pi 3 added; fix interrupt setup on Hyper-V VMs with Legacy Network Adapter; SVR4 and IBCS2 compatibility subsystems have been disabled by default (besides IBCS2 on VAX), these subsystems also do not auto-load their modules any more; various USB stability enhancements; numerous bug fixes and stability improvements." Further information can be found in the project's release announcement and in the release notes. Download (MD5): NetBSD-7.2-amd64.iso (389MB, torrent), NetBSD-7.2-i386.iso (419MB, torrent). The NetBSD team has announced a new version of their project's highly portable operating system. 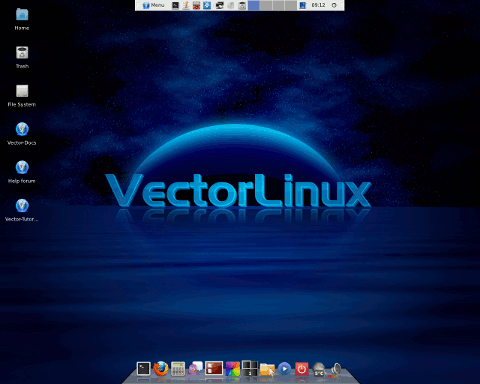 The new version, NetBSD 8.0, included support for USB 3, reproducible builds, in-kernel audio mixing and address layout randomization for improved security. "USB stack rework, USB3 support added. In-kernel audio mixer (audio_system(9)). Reproducible builds (MKREPRO, see mk.conf(5)). Full userland debug information (MKDEBUG, see mk.conf(5)) available. While most install media do not come with them (for size reasons), the debug and xdebug sets can be downloaded and extracted as needed later. They provide full symbol information for all base system and X binaries and libraries and allow better error reporting and (userland) crash analysis. PaX MPROTECT (W^X) memory protection enforced by default on some architectures with fine-grained memory protection and suitable ELF formats: i386, amd64, evbarm, landisk, pmax. PaX ASLR (Address Space Layout Randomization) enabled by default on: i386, amd64, evbarm, landisk, pmax, sparc64. Position independent executables by default for userland on: i386, amd64, arm, m68k, mips, sh3, sparc64." Further details can be found in the project's release notes. Download (SHA512): NetBSD-8.0-amd64.iso (716MB, torrent), NetBSD-8.0-i386.iso (677MB, torrent).